This bright, fresh slaw is a sensational side dish for grilled meats. Try it atop burgers and in wraps, too. In a large mixing bowl, stir together the orange juice, olive oil, vinegar, zest and garlic, then add the prepared vegetables and mix together gently. Add salt and pepper to taste. Serve immediately or refrigerate for up to 24 hours. 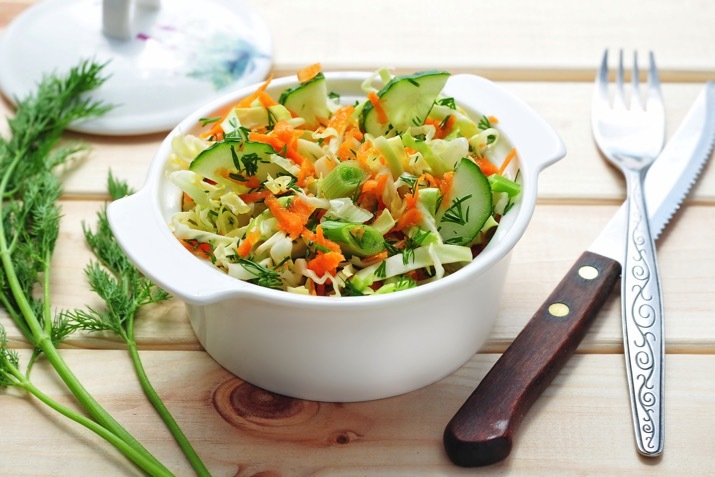 This zesty slaw is delicious served with grilled salmon or steak; in a wrap with chopped seitan, shredded romaine lettuce and yogurt sauce; or piled on a lamb burger.